On Willerby Carr this morning there were c400 Fieldfares with a few Redwings and Mistle Thrushes plus Little Egret, Little Grebe and 2 Kingfishers; at Long Nab the highlights included an adult Mediterranean Gull heading south and going north were a Common Scoter and 4 Wigeon; 12 Goosanders were on Throxenby Mere today with another 2 present on The Mere where there were also 55 Tufted Ducks, 48 Mute Swans, 2 Little Grebes and an adult Mediterranean Gull. The Brompton churchyard Hawfinches caused a bit of a stir today when armed police were called to deal with a person in camouflage gear with a gun!! 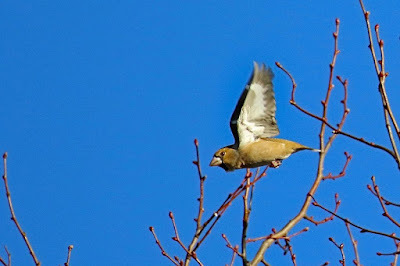 Actually it was a birder with a long lens so be careful where you point your cameras. 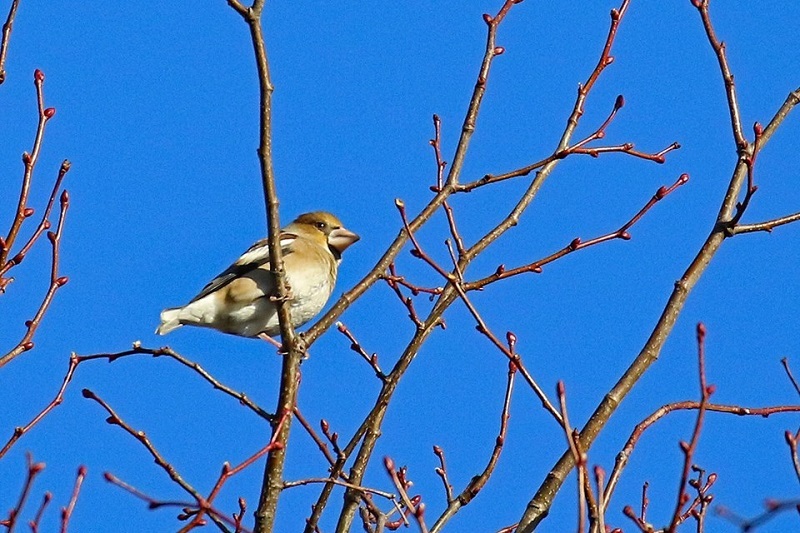 A total of six birds were seen today around lunch time and one was seen nearby in Sawdon, very briefly, where there were also c100 mixed Fieldfares and Redwings and a single male Brambling. 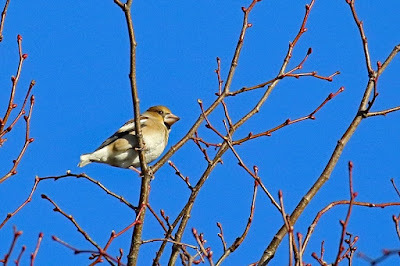 The Hawfinches at Thornton-le-Dale were also seen this morning but I have no details as to how many were present. At Flixton Carr we had 6 Little Grebes, 10 Golden Plover, 50 Fieldfares, 70 Lapwings and 2 Common Buzzards and nearby on Folkton Carr 103 Golden Plover, 447 Lapwings 3 Dunlin, 5 Fieldfare and a Redwing. 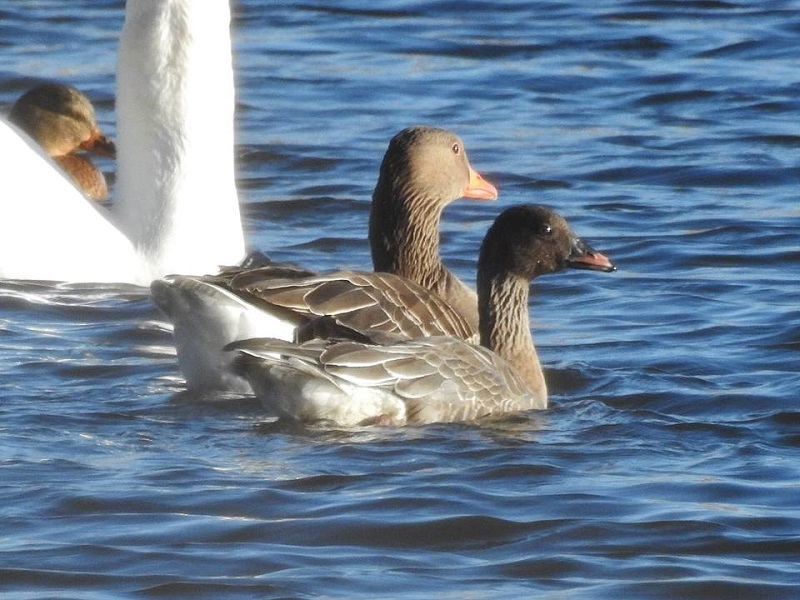 Finally a Pink-footed Goose and 4 Shoveler were seen on Seamer Tip pool.